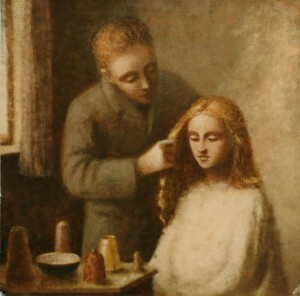 The featured painting for August 2012 is entitled “Man Combing Woman’s Hair”. This painting is believed to reside in the USA in a private collection. It is believed the woman in the painting is of Ian’s former wife.